ESSC_Adult Camps from Endless Summer Surf Camp on Vimeo. ESSC_2015-recap4 from Endless Summer Surf Camp on Vimeo. The Endless Summer Surf Camp offers a surf program to meet everyone’s needs. Whether you have never surfed before and always dreamed of learning or if you just want to improve your existing skills, we have the coaching that will enable you to reach your goals. Our programs consist of personalized surf instruction on the beach,in the water, professional surf photography and video analysis back at the camp. The focus of our sessions is on water safety and surfing instruction while having fun in the sun. The Endless Summer Surf Camp is all inclusive (meals, surfing equipment, accommodations) so all you need to worry about is getting here. Thanks for taking an interest in our surf camp programs. We are one of the Original Surf Camps in the world and are celebrating our 27th year in business. COME SURF WITH US TODAY! 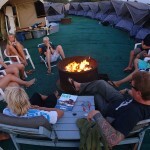 5 day overnight surf camp session runs Monday through Friday. All 5 day surf camp packages start Monday morning at 8 a.m. and finish Friday at 4 p.m. The overnight camp includes accommodations, all meals, drinks and snacks, 24 hour supervision, and all your surfing equipment as well as surf instruction. Overnight surf camps are 5 days in length. Campers travelling long distances can arrive the Sunday evening prior to their surf camp session and depart the Saturday morning following the end of their session. Surf Campers are welcome to attend more than one session and stay for mulitiple weeks. “just for fun” surf contest. At our awards presentation everyone will receive goodies from our sponsors. And our Ocean Hero Award will be given away. Day surf camps are open to ages 10 and over. All levels welcome. Whether you have never surfed before or if you just want to take your skills to the next level we have the instruction for you. We provide all surfing equipment, expert surf instruction, as well as lunch, snacks and drinks throughout the day. These camps are perfect for those who live local or those who prefer not to camp and stay at a local area hotel, or with family. Why let the kids have all the fun? 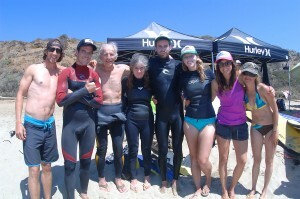 The all age camps are fun, but the adult only surf camps are fun on a whole other level. Learn to surf with in good company, with other students your age and ability level. So what if you have never tried to surf before and always dreamed of surfing. A majority of our Adult students are surfing for the first time, or have maybe surfed years ago and want to get back into it. There is no better time or place to start than this summer with us. 5-Day Surf Camp Session Runs MON-FRI from 8am to 4pm. The Endless Summer Surf Camp offers private and group lessons year round. We will meet you at the beach and provide all the surfing equipment needed. Surf Lessons consist of an on the sand surf and safety demonstration. Then we will enter the water and make our surfing goals come true. Our Instructors are all certified and have years of experience. All surf lessons are 2 hours in length and take place at one of our San Onofre Locations. In the summer months we use San Onofre Bluffs Surfing Beach and during the months of October – May we instruct at San Onofre Surf Beach.